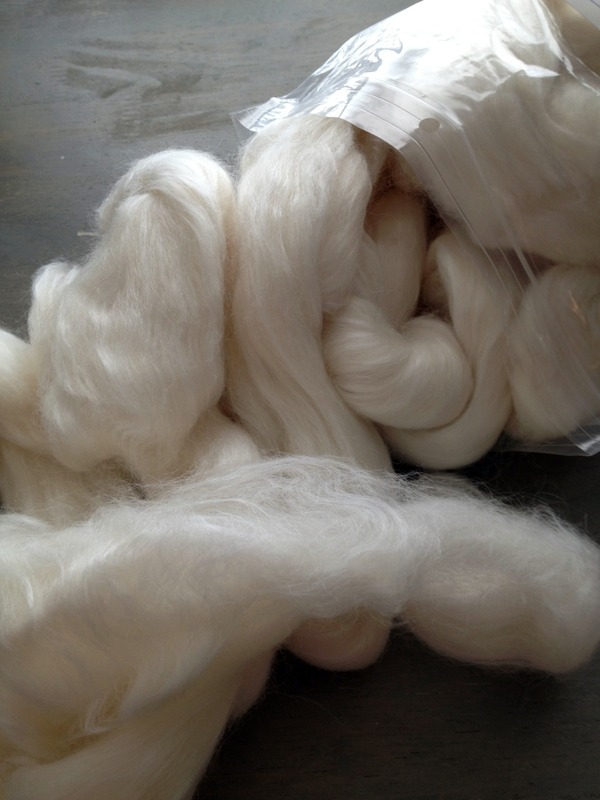 Last week I ordered this gorgeous roving from Three Waters Farm’s Etsy shop. I have just about died waiting for this. Exageration yes, but it’s been a week. This, I knew, would be the highlight of it. I underestimated the roving’s awesomeness. I pulled this white plastic bag out of my teeny tiny mailbox this afternoon. It was squishy and smelled like band-aids. Okay, I realise this sounds strange. To me, the smell of wool is of old, vintage band-aids like we’d find in unused First-Aid Kits long-since lost in my grandmother’s old house in a hill (remind me to show you a picture of that sometime; it’s something else). Were band-aids made of wool at some point? I don’t know. Not gonna lie, I totally sank my hands into that. Anyway, that is simply beside the point. The point is, today I ran around like a mad woman, got blisters on blisters because I thought I’d wear heels two days in a row (neither pair of shoes has ever been broken in as I never ever wear these shoes), and my computer at work refused to cooperate. I was at wits’ end and in my mailbox was the one thing I had waited all week for. It was a wonderful moment. 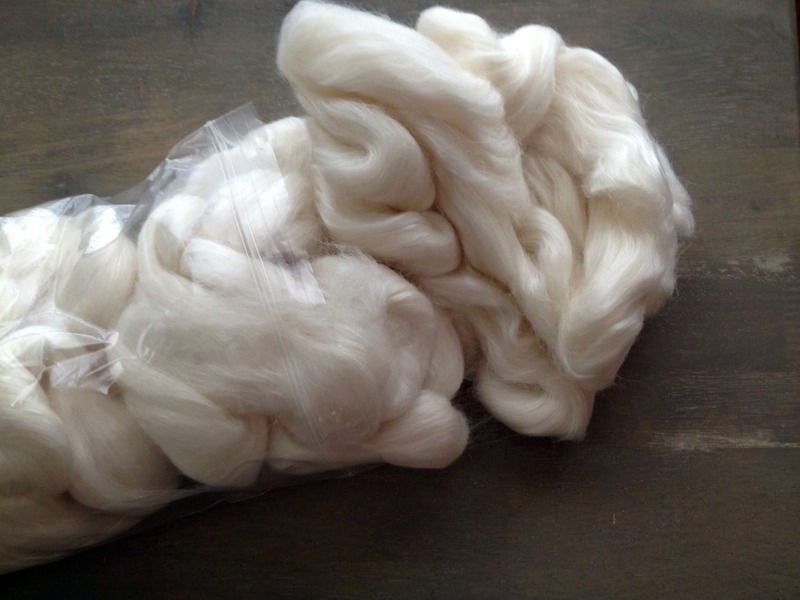 The roving I purchased is not dyed. I’m still a little hesitant about spinning multicoloured yarn just yet. It’d probably end up as mud with me. It’s in two batches of 4 oz, so already separated. It’s a blend of merino, bamboo, and silk. It’s slick and shiny and oh so scooshy. I think I’m in love. After a couple of minutes fondling the heavenliness, I did get my drop spindle back out and started to spin it. Definite difference from the unknown blue stuff. These fibers slip apart if I’m not careful (and I’m not). That and the twist just slips so far up that I’m having trouble making sure I don’t over twist. I’m thinking about plying it as well, later on. The next question is, do I dye up the roving now, with one as a colour and the other part plain? Do I spin them up and then dye them both? Do I dye them different colours and then ply them? Do I spin, ply, and then ply them? Oh the options!